Ruth (RDH), knew early on in her life that she wanted to get into dentistry; her ambition was to truly help others and create healthy smiles. She graduated from Forsyth Dental Hygiene School in Boston, MA in 2001; soon after which, she came to work at Osorio Dental Group. She was attracted to the office because it gave her the ability to make an improvement in her patient’s dental health and overall well-being. She tries to take as much of a holistic approach to her patients as possible by focusing on the health, wellness and prevention of disease. 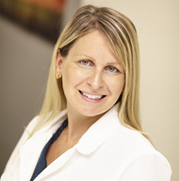 Ruth received her Local Anesthesia license in 2011, after it was required by legislation for Registered Dental Hygienist. Outside of work Ruth practices yoga regularly and tries to keep as active as possible to focus on her own well-being.